THQ Nordic today revealed its fourth quarter financial information for the 2018 calendar year and in the process has reported on the status of the publisher’s biggest release in that window, Darksiders 3. According to THQ Nordic, the fourth quarter of 2018 saw net sales increase by 38% with Darksiders 3 being the biggest contributor to these sales in that window. 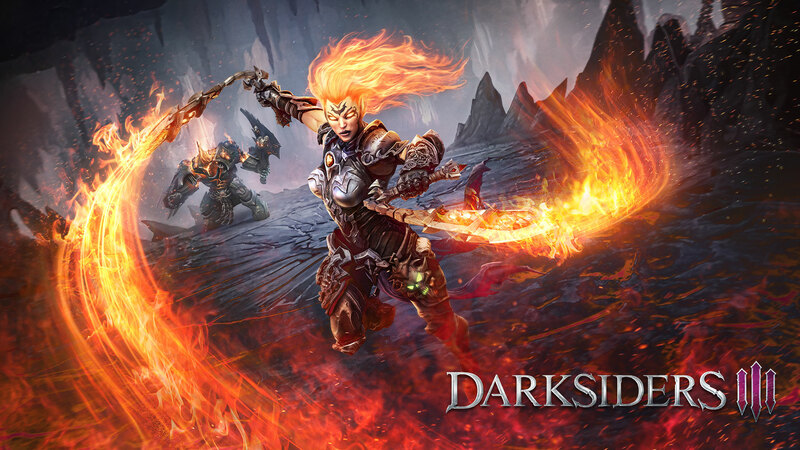 Additionally, THQ reports that Darksiders 3 “performed within management’s range of expectations and has recouped all investments made in development and marketing during the quarter.” They also went on to state that the release of the game’s upcoming DLC packs later in 2019 will only continue to boost these profits even higher. Perhaps the biggest note though amongst all of this information is that THQ’s report also stated, “Darksiders remains one of the Group’s key IP’s.” This is most recently seen to be true through the publisher’s announcement that it will be bringing Darksiders: Warmastered Edition to the Nintendo Switch, but it also might indicate even more about the future of the series itself. If THQ Nordic is as happy with the performance of Darksiders 3 as they seem to be, then the logical next step you’d have to imagine will be an inevitable Darksiders 4. They do have to finish the saga and give each horseman its own game, after all. That said, if Darksiders 4 will potentially be in the pipeline now following the third game’s success, I hope it is far more polished than this previous installment. Despite my personal love for the Darksiders series, I found the most recent entry to be my least favorite of the bunch. Not only was it mired by a lot of bugs and performance issues at launch, but it also just failed to stand out as much compared to past titles. You can read my full review right here if you’re interested in hearing more of my thoughts on the game. Despite all these complaints though, I’m happy to know that Gunfire Games might get another shot with this series. I think there’s a lot of talent at that studio and as I mentioned, it just feels somewhat fitting that this series would see a separate game centered around each of the Four Horsemen. Obviously, though, Darksiders 4 isn’t confirmed to exist whatsoever yet and even if it does come about, you’d have to imagine it’ll be a while until we formally see it announced. Until then, you can jump into Darksiders 3 on Xbox One, PS4, or PC if you haven’t done so already. The post Darksiders 3 Has Already Recouped Its Investments, Remains a Vital IP for THQ Nordic by Logan Moore appeared first on DualShockers.